Disney Vacation Club is celebrating 25 years and DVC members will get to enjoy quite a few exciting events to commemorate the occasion. 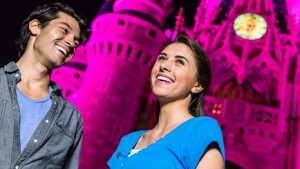 The fun will kick off with the Disney Vacation Club 25 and Beyond Bash at the Magic Kingdom on two nights – February 25 and March 3. The party will kick off at 9:30 p.m. and last until midnight. Event highlights will include access to select attractions in Tomorrowland and Fantasyland, as well as The Haunted Mansion in Liberty Square. There will also be a DJ dance party for Guests to groove to in Tomorrowland and complimentary refreshments available. Other items will be available for purchase. Members and their Guests will be able to enter the park as early as 7:00 p.m., however to enter the park at 7:00 p.m., Guests must have valid theme park admission. Guests will be able to check in for the event at either the Magic Kingdom or at the lobbies of the Disney Vacation Club Resorts. Membership Card and a photo ID will be required at check-in. Attendees will be given a wristband to wear during the event. 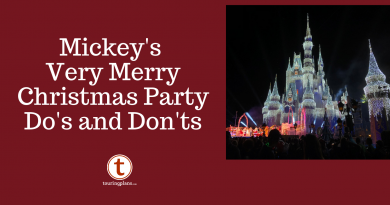 For those with a reservation at a Disney hotel, their party size is limited to the DVC Member and up to the number of guests listed on that reservation. For those Members who do not have a reservation at a Disney hotel, the party size is limited to the Member and up to 5 guests. Members and Guests under the age of 18 must be accompanied by a participating parent or guardian. Complimentary transportation will be available before, during and after the event between the Magic Kingdom and the different Disney Vacation Club Resorts found across Walt Disney World. The best news is that this event is complimentary for Disney Vacation Club members! Guests must register and to do so, Guests must call Member Services at 1 (800) 800-9800. Keep in mind that reservations are limited, so make sure to book early if you are looking to attend one of these two nights. Won’t be able to make this event? I have good news! Disney Vacation Club Members can look forward to other special events taking place throughout the year celebrating the 25th anniversary. There will be a Disney Vacation Club Neighborhood Beach Bach on June 23, June 29, July 7, and July 13; the Disney Vacation Club Safari Spectacular on September 6, 13, 22, and 27; and the Merry Member Mixer, with dates in November and December that are still to be determined. For more information about the Disney Vacation Club’s 25th anniversary, visit www.disneyvacationclub.com/25years. The Disney’s in the Details: Main Street, U.S.A. I am a retired cast member as well as a DVC member. I will be staying @ Port Orleans French Quarter on cast member rate, which is not a DVC resort. Will transportation still be available to that resort after the bash?